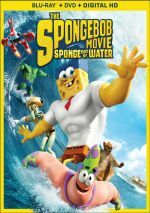 When I saw previews for 2015’s The SpongeBob Movie: Sponge Out of Water, I thought “oh – they finally brought SpongeBob to the big screen!” Which they did – more than a decade ago. I assume I knew of 2004’s The SpongeBob Movie way back then, but any memory of it left my mind long ago, I guess. This clearly establishes me as someone who doesn’t follow SpongeBob, though not out of disdain. I always got the impression that SpongeBob would probably be entertaining but I simply never bothered to give the franchise a look. Until Sponge Out of Water showed up on my door, that is. Evil pirate Burger Beard (Antonio Banderas) obtains a special book that reveals the location of Bikini Bottom, a spot under the sea. Its inhabitants dine at the Krusty Krab, where they feast on the Krabby Patty – indeed, they appear to be virtually addicted to this dish. SpongeBob SquarePants (voiced by Tom Kenny) works as the fry cook at the Krab, and he protects the secret recipe for the Patty from Plankton (Mr. Lawrence), a rival restaurateur. Plankton stages a massive attack on the Krab and sets off a battle over the recipe. While SpongeBob and Plankton wrangle over the secret, it mysteriously vanishes. What happened? SpongeBob and Plankton form a team to go to the surface, find the special formula – and confront Burger Beard. As I mentioned earlier, Sponge essentially acts as my introduction to SpongeBob. I wasn’t completely ignorant in the ways of the Sponge – I’d seen bits of episodes in the past and rode a SpongeBob theme park attraction a few times – but Sponge became my first extended experience with the series. And it turned into a mostly successful one. While I can’t say I like Sponge enough to prompt me to delve into lots more SpongeBob, I do think the film offers good entertainment that seems likely to work for kids and adults alike. Given my advanced age of 48, I firmly fall in the latter audience, and I appreciate the filmmakers’ attempts to give grown-ups enjoyable material – at least for a while. During the movie’s first act, it throws all sorts of wacky situations and gags at the viewer, many of which score good laughs. The pacing seems fast but not frenetic, and the humor seems lively and creative. Unfortunately, Sponge loses a fair amount of steam as it goes, partly because the emphasis appears to change. The material becomes more “kid-oriented”, which means the comedy turns less clever and the story’s themes leap to the fore. In its heart, I don’t think Sponge wants to teach lessons, but it shoehorns in a moral about teamwork that doesn’t quite fit. Speaking of elements that don’t really mesh, Banderas fits that category. As the only live-action character with anything to do in Sponge, Banderas delivers a ridiculously broad performance that out-cartoons the actual cartoons. He tries too hard to be wacky and funny and he doesn’t connect to the movie’s natural feel and tone. Banderas turns into a distraction, and since he becomes more prominent in the third act, that ends up as a problem. While I feel disappointed that Sponge fades as it goes, I still think it provides pretty good entertainment value. It may lack consistency but at least it gives us a reasonable amount of laughs along the way. 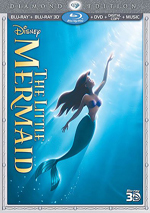 The Spongebob Movie: Sponge Out of Water appears in an aspect ratio of approximately 1.85:1 on this Blu-ray Disc. From start to finish, the flick looked great. Sharpness seemed immaculate. If any soft spots materialized, I didn’t see them, as I thought the film was concise and distinctive at all times. No signs of jagged edges or shimmering occurred, and edge enhancement seemed to be absent. Source flaws also failed to occur, as the movie was consistently clean and fresh. With a bright, varied palette, the colors of Sponge looked terrific. The movie showed vibrant tones at all times and really leapt to life. Blacks were dark and deep, while shadows appeared clear and smooth. I found myself very pleased with this exceedingly satisfying transfer. Although the audio of Sponge wasn’t quite so stunning, the soundtrack worked well. The DTS-HD MA 5.1 mix definitely expanded the soundscape and added oomph to the proceedings. With a bunch of action sequences as well as an underwater setting, we found plenty of elements that cropped up around the room. They meshed well and contributed pizzazz and dimensionality to the proceedings. Audio quality always worked well. Speech was natural and crisp, with no edginess or other issues. Music sounded bouncy and bright, while effects demonstrated fine delineation. Those elements seemed tight and accurate, and they displayed very nice bass response when appropriate. While I wouldn’t call this a dazzling auditory experience, Sponge was good enough for a “B+”. 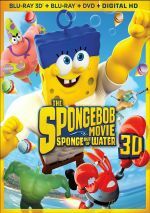 The Blu-ray includes both 2D and 3D versions of Sponge. The picture quality comments above address the 2D edition, but I also want to talk about the 3D image. Expect a pretty terrific 3D impression from Sponge. The movie includes plenty of opportunities for material to pop out at the viewer, though it rarely seems gimmicky. Instead, it uses the actions and events to embellish them; for instance, scenes in a time portal deliver terrific engagement. I like the 3D usage quite a lot. Picture quality for the 3D version remained good. Inevitably, brightness and colors took something of a hit, but not to a massive degree. Definition still seemed positive and the image was usually quite satisfying. The fun factor from the 3D compensated for any loss in visual quality. Six pieces show up under On the Surface. Here we get “Spongebob Squarepants: Out of His World” (7:40), “When I Grow Up, I Want to Make Funny Sounds” (9:41), “Becoming Burger Beard” (6:06), “Making the Burger Mobile Chase Sequence” (5:40), “It’s Hip to Be Squarepants” (3:31) and “A Day in the Life of a Sponge” (2:33). The first four act as behind the scenes featurettes. These provide comments from director/producer/co-story Paul Tibbitt, producer Mary Parent, creator/executive producer/co-story Stephen Hillenburg, creative supervisor Vincent Waller, sequence supervisor Sherm Cohen, art director Ruben Hickman, executive producers Craig Sost and Cale Boyter, costume designer Roland Sanchez, hair department head Janine Thompson, makeup department head Whitney L. James, and actors Tom Kenny, Carolyn Lawrence, Antonio Banderas, Mr. Lawrence, Bill Fagerbakke, Rodger Bumpass, and Clancy Brown. In those four programs, we learn about story/character elements and the movie’s development, animation and visual elements, cast and performances, and scene specifics. These cover enough details to become useful and engaging. “Hip” introduces us to “fashion designer Giancarlo Brecht”, as he tells us how he made square pants hip. “Day in the Life” gives us a faux pretentious French film about the difficult existence of the sponge. Both are cute but insubstantial. Within Underwater Awesomeness, three more components appear: “Plankton Rules the World!” (6:21), “Bikini Bottom Confidential: Rock Stars of the Sea” (9:28) and “International Sponge of Mystery” (4:15). In “Rules”, marine biologist Dr. Sylvia Earle discusses facts related to plankton. “Stars” introduces us to submarine designer Liz Taylor, diving safety officer Steve Clabuesch, ocean acidification researcher Kristy Kroeker, and marine ecologist Mark Carr. They all tell us about their jobs and work. Both “Rules” and Stars” offer basic details about marine careers. They aim to educate kids and seem satisfactory in that regard. “Mystery” allows us to hear two scenes via different languages. We get “Meeting Bubbles” (2:58) and “The Speech” (1:17). I enjoy the chance to hear different voice actors play the parts, even if I don’t understand what they say. As we shift to Bikini Bottom Boogie, we get three additional segments. “Thank Gosh It’s Monday” (2:39) brings us a musical number cut from the film. “Spongebob Sing-Alongs” lets you croon along with three songs: “Thank Gosh It’s Monday”, “Teamwork” and “Theme Song/Rap Battle”. Finally, “Boogie” provides a music video for “Squeeze Me” by NERD. This mostly shows movie shots but it plops square versions of the members of NERD in the action. That’s a creepy approach, and the song annoys. 14 Deleted/Extended/Alternate/Test Scenes occupy a total of 25 minutes, 53 seconds. These give us a lot of creative ideas and often prove to be amusing. Most never made it past the early stages, but that doesn’t connote a lack of quality. Sit back and enjoy the ride with these entertaining sequences. Oh, and look for a cameo from a famous 80s rock star in one of these scenes. Note that one of the deleted scenes – “Thank Gosh It’s Monday” (2:41) – also appears on the 3D disc. That lets us check it out in full 3D glory. Also note that the ‘Deleted Scenes” version of “Gosh” is the same as the clip seen in “Boogie”. I don’t know why the 2D Blu-ray presents it twice, though at least “Deleted Scenes” provides an extended rendition of “Gosh” as well. 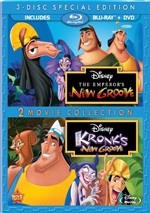 The package also includes a DVD copy of the film. Other than previews, it provides no extras. Though it sputters as it progresses, The SpongeBob Movie: Sponge Out of Water still works most of the time. The flick throws out lots of laughs and it seems like good entertainment for adults and kids. The Blu-ray boasts excellent visuals as well as involving audio and a reasonably useful set of supplements. Sponge offers a pretty fun experience.